This press release was published on the web page derstandard.at in Austria. 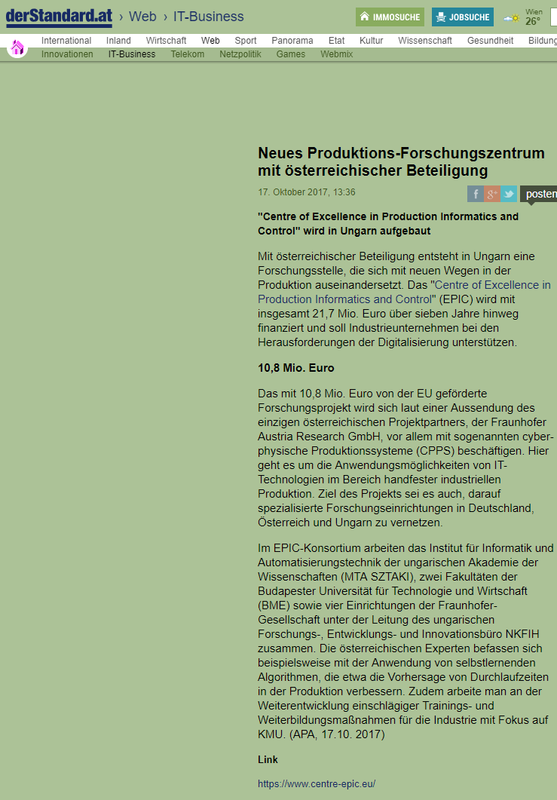 After the second consortium meeting held in Vienna the EPIC project was introduced to the Austrians. The article reports on financial data about the project, main topic (cyber physical production systems, CPPS) , the consortium of the project and on the different activities of FhA.